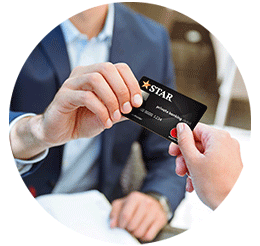 Enter to win $500 just by using your STAR Debit Mastercard®. 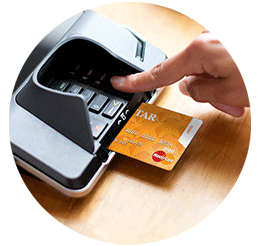 Pay for the things you buy every day with your STAR Debit Mastercard and you could win. Use your card for purchases totaling $1,500 from December 3 - 31, 2018 and you'll automatically be entered to win one of two $500 cash prizes. Entries based on signature and/or PIN debit card purchases from December 3, 2018 through December 31, 2018. See us for details. No purchase or payment of any kind is necessary to enter or win. Retail customers only. STAR employees and immediate family are not eligible. Official rules: Two (2) randomly-selected winners will be drawn. Odds of winning depend on number of eligible entries received. Starts 12/3/18. Ends 12/31/18. Open to legal residents of 50 US or DC, 18 or older as of 12/3/18. Subject to applicable federal, state and local laws and regulations. Void where prohibited. No purchase necessary to enter/win. See rules for prize restrictions. To Enter: 1.) 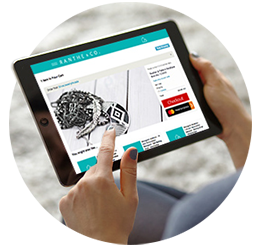 Automatic entry via signature and PIN purchases during promo period: a) Automatic entry via STAR Mastercard debit card signature and PIN purchases totaling $1,500 or more during promo period. Prize will be awarded to primary account holder (per STAR’s records) named on the account accessed for entry. 2.) Online Entry: Enter without purchase and receive one entry. Visit starfinancial.com/swipeforsanta and complete the form to include your name, address, phone number, email, and age. Online entries must be received prior to 11:59 PM on 12/31/18. Winner selection: STAR will select two (2) randomly-selected Prize Winner from all entries received throughout the debit card contest period. Prize drawing will occur within 10 business days of end of contest period. Winners will be notified by STAR by phone and/or mail within 3 business days after drawing. $500 cash will be deposited directly to checking account of primary account holder. Odds of winning will depend on the number of eligible entries received. Limit one prize per person, family or household. STAR employees and immediate family are not eligible. Tax Issues: STAR will report all prize winnings to the appropriate state and federal agencies as required by applicable law. Winners are responsible for all tax consequences (if any) of the prize(s). Miscellaneous: No transfer, assignment, cash redemption or prize substitution except by STAR. Winners must execute and return a notarized Publicity Release within three days of issuance of notification. Sponsored by STAR Financial Bank, PO Box 11409, Fort Wayne, IN 46897-5806.